Parking: There is a parking lot at the foothill. Admittedly, many people park for free in “no parking” zone by the road running right next to the stronghold, however the police patrols in there very often and that kind of free way of parking may turn out to be very expensive. Searching difficulty: The keep of the castle is visible from a distance if you hike through Prądnik Valley, so it is easy to reach it. However, if you arrive there by car, then a vast concentration of illegally parked vehicles explicitly indicates locality of the castle. Access difficulty: Depending from which side you approach the castle, a straight walking avenue or high stairs lead up to there. Thus, statistically the access is easy. Subjective rating: This building engenders mixed feelings. In the summer it does not enrapture, whereas in the fall it is lovely among colorful trees. Thus, it is average in general. Ojców is situated 25 km north of Cracow. You may arrive at there in many ways, but the easiest one is to reach there down the road no 794 from Cracow to Wolbrom. After traveling 20 km, in Skała you need to turn left at the traffic circle, into the road no 773 towards Olkusz. There a road leads steeply downwards. After driving to the very bottom, at the Y-shaped junction you have to turn left to Ojców. Drive down the main road all the way long as far as the next intersection. There a main road turns sharply to the right, while directly opposite is a lane of the third category of snow-clearing. That is exactly the road you must drive along straight ahead as far as a paid parking lot at the foot of the castle. 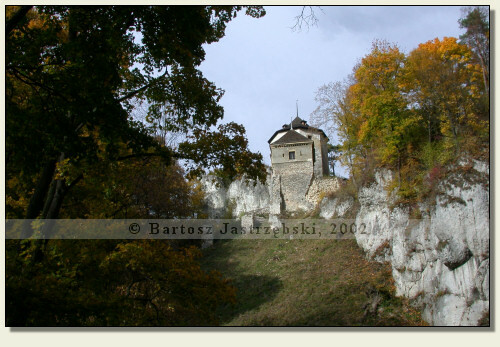 A royal castle in Ojców sprang into existence in the second half of the XIVth cent. on the initiative of Kazimierz Wielki, which is confirmed in unison by Jan from Czarnków and Jan Długosz. 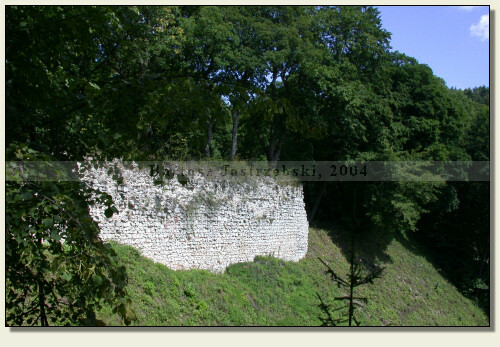 Some historians claim indeed that earlier existed there a defensive structure or that the Ojców castle was raised by Władysław Łokietek, nonetheless there is no proof of that. 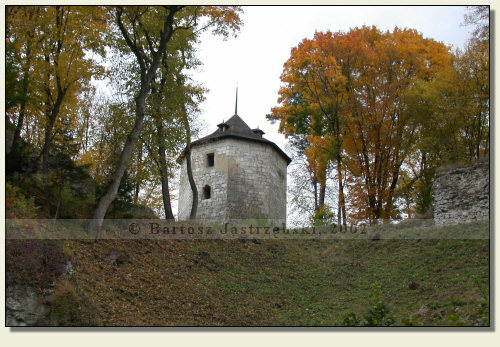 Also a document from 1354 contradicts these hypotheses, by virtue of which the king, by way of exchange received a village Smardzowice from a bishop of Cracow, where he later erected a stronghold. 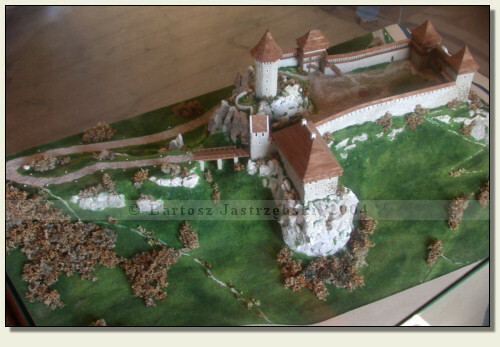 The following document from 1370 mentions an already existing castle on the lands of Smardzowice. 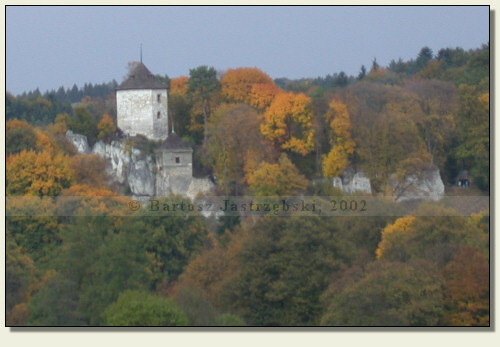 The stronghold of Ojców (Father’s), despite its name, was treated unfairly (stepmotherly). The most frequently it was an object of royal pawns, and this tradition was laid down in 1400 by Władysław Jagiełło. For that exact reason it is unknown to whom an enlargement of the castle ought to be ascribed. Only out of inspectional documents certain conclusions might be drawn. 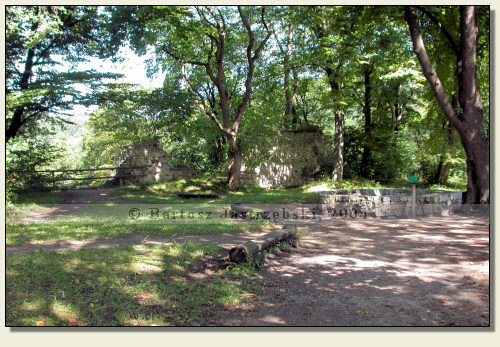 The first of them, from 1564 does not mention the castle at all, and only its sparse service, while the document from 1620 says that stronghold was very uncared-for, but a district governor Mikołaj Koryciński began its renovation. In reality these were many years of extending the castle on a grand scale. 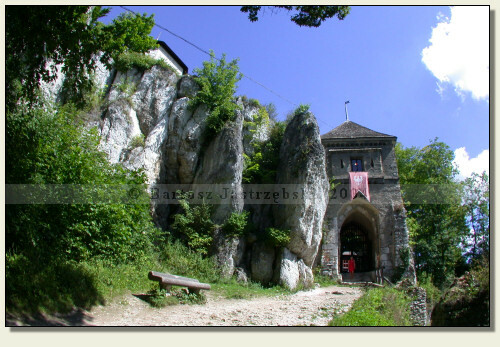 The stronghold of Ojców survived the Swedish Deluge just because invaders used it as weaponry and food storehouse. At the turn of the XVIIIth cent. and the XIXth cent. 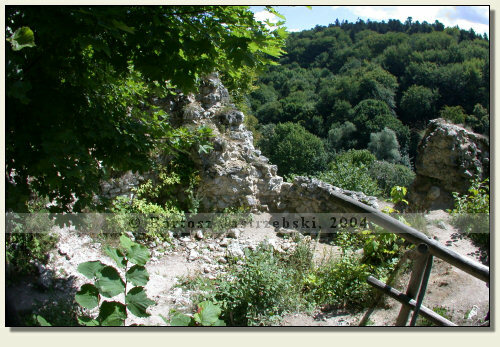 under the Austrian rule the castle fell into decline, and in 1829 a disassembly of its walls was started. 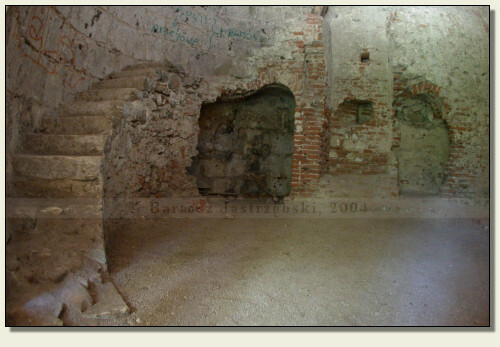 Attempts at saving the building were already made in the XIXth cent. and renewed at the beginning of the XXth cent. Unfortunately, without effect. At present, not much has remained of the castle.